has been under much historic layers being the Nabataean capital around the first century BC and also has been a capital of the Roman Province of Arabia back in 106 AD. 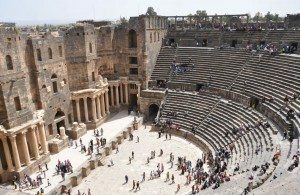 This is what makes the town of Bosra so unique and a place worth-visting. 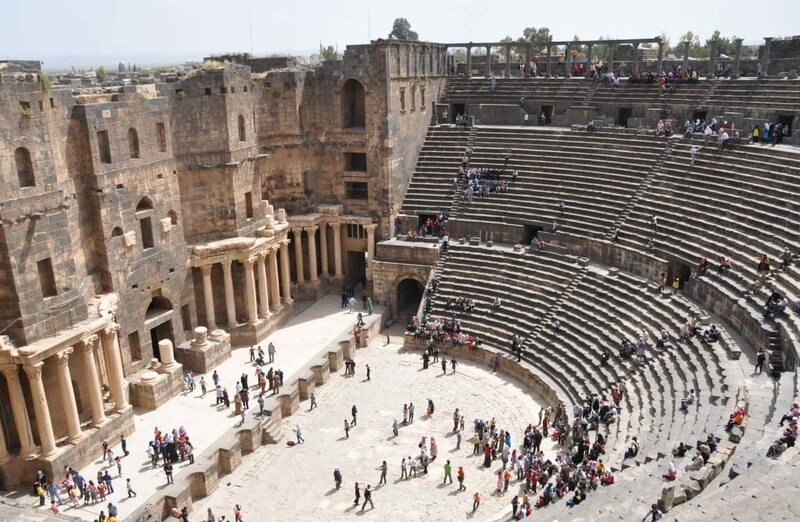 Also referred to as Bosra ash-Sham is like nothing but a dark town of basalt featuring a citadel and a well-preserved theatre from the Roman period which still can be spectacled in this town of Bosra. 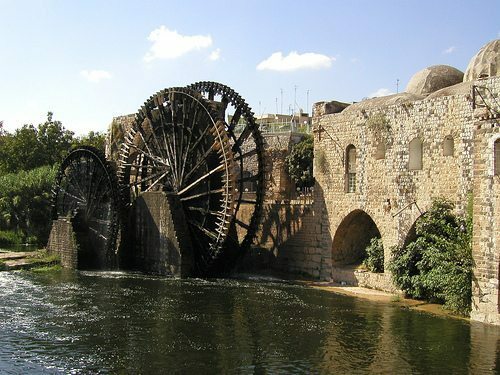 The water wheels in Hama are part of a very ancient irrigation system. The main purpose for these was to move water through the aqueducts. However, none of the Hama water wheels that still stand today are from periods earlier than the Ayyubid Dynasty (late 12th to early 13th centuries). During the Mamluk era, many norias were overhauled and enlarged. It was also during this era that more water wheels were made. 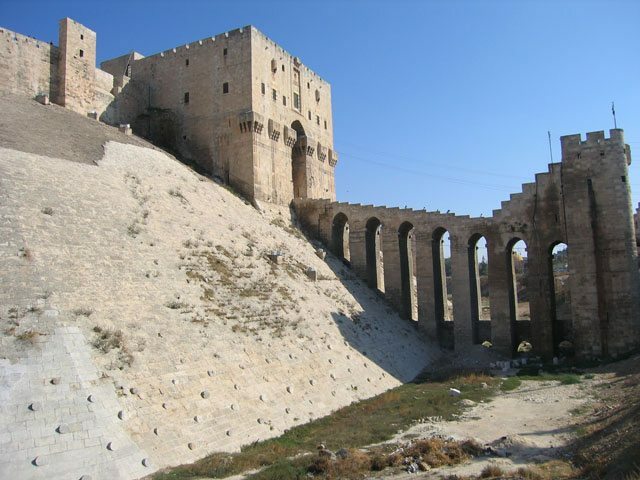 At one point, there were more than thirty norias in Hama. The city of Aleppo boasts that perfect Arabian Nights feel, with bustling bazaars and people following the same business norms since centuries now, Aleppo maintains its quaint and vivid vibe that is true to the authentic culture of the Middle East. From the frenzy sounds of the horse drawn carts to the donkey still transporting items on the back, to the lingering fragrance of exotic spices, roasted coffees and succulent culinary delights of shwarmas among many more. This city listed by UNESCO as a world heritage site may not be the same way bustling with crowds as it did, when a significant stop on the Silk Road once upon a time.